It’s no secret that books play a prominent role in my life. Books serve as my favorite form of entertainment, my primary source of information, and a fountain of inspiration for nearly every aspect of my life. Books are a diversion, but they are also so much more than that, and I take my reading life fairly seriously—which leads us to the topic of reading goals. It’s popular to set a quantitative book goal at the start of the year, but I’ve never had a problem reading enough books, so I don’t feel the need to set a number goal. I’m more concerned about quality than quantity. But without careful attention and concerted deliberation, I fall into the habit of reading books that occupy my time but don’t necessarily challenge my mind or nourish my soul. And that’s where my annual reading challenges come in. Last year’s challenge infused my reading life with just the right amount of intentionality, prompting me to choose books I might otherwise have left sitting on the shelf. 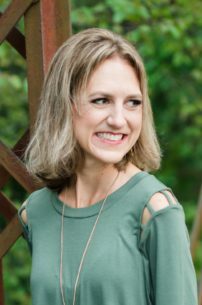 I was happy with my twelve categories, and with the books I read to satisfy each one, and I enjoyed sharing my reviews and selection process here on the blog. I also appreciated the broadness of the categories, which added some flexibility to my book selections and allowed me to satisfy my momentary whims. The challenge was such a great personal success that I decided to do another one in 2017. This year’s reading challenge will look a little different. Instead of designating categories of books, I’m letting history be my guide. Each month I will read a book from a new decade, beginning with a book written before 1900 and working my way through the 20th century. My twelfth and final book will be one written since 2000. 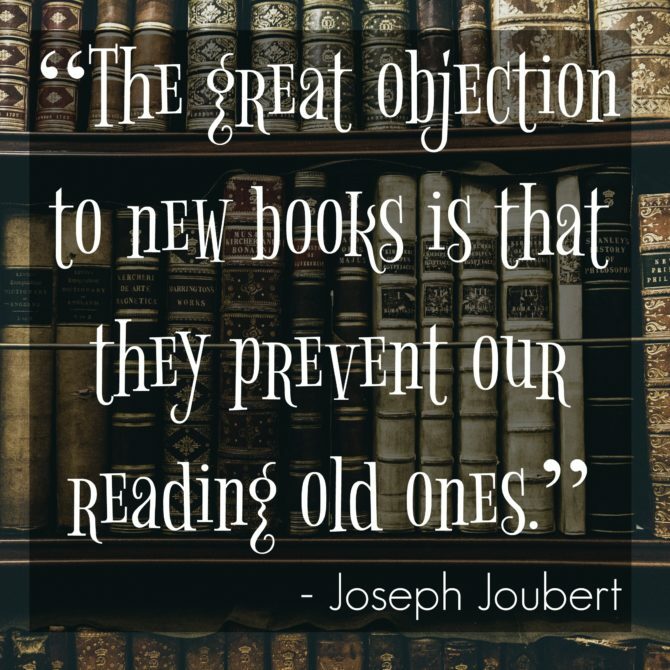 I’m excited about this year’s challenge because it will prompt me to read a few classics, which are generally outside of my reading comfort zone: I always say I will read these older books, but never quite get around to it. This year’s challenge will change that! I’ll also be paying attention to the changes that occurred within the literary landscape as the century progressed. Reading just one book to represent each decade won’t give me a complete picture of books being written within each period, but I’m sure I will notice subtle shifts in the style and content of the books I am reading. I just finished January’s challenge book (written before 1900) and will be sharing a full review next week. I haven’t made my selections for the next eleven books, though, so if you have recommendations for books I should read from a certain decade, please share them with me! If you’d like to do a reading challenge in 2017, it’s not too late to start! Come up with your own categories, or follow one of the plans on this Master List of 2017 Reading Challenges. 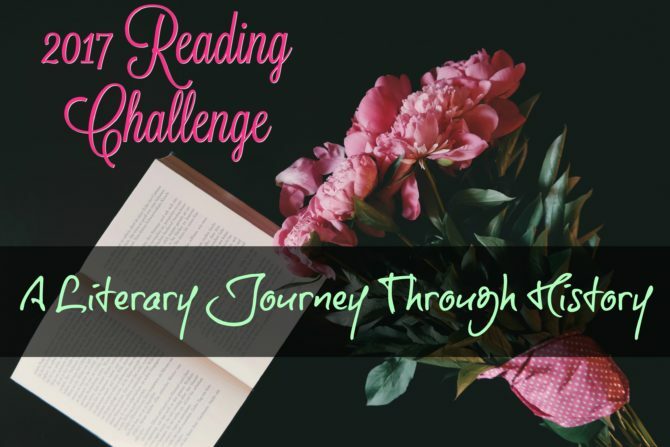 Of course, you can also join me in my reading challenge as I walk through literary history!